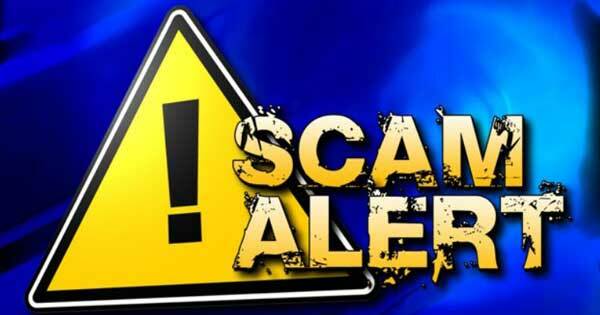 Careful Out There: Scammers Targeting Clark Public Utilities Customers | Clark County Live! Fair warning Clark County friends and neighbors, it’s always Scam Season. And Clark Public Utilities customers, small businesses in particular, are being aggressively targeted by scammers in recent weeks. The scammers are passing themselves off as customer service representatives and warning customers that their utility bills are past due and the electricity will be cut off in a matter of hours unless the customer pays up immediately. This winter, small restaurants, pubs, and bakeries are being especially targeted. Some have paid the scammers hundreds of dollars they’ll likely never recoup. And, unfortunately, Clark Public Utilities can’t reimburse them for the loss. “That’s why it should always be a red flag if payment is demanded in the form of a GreenDot card or other prepaid card,” said Hill. The scammers impersonate the utility with a convincing performance. When they call, ‘Clark Public Utilities’ displays on the caller I.D. They claim the customer owes an amount close to a few months’ worth of utility bills. Once they’ve scared the victim, the scammers order customers to hang up, go get a prepaid card and call a phone number with the 360 area code. The victim then hears a strikingly similar, if not identical, answering message to that of Clark Public Utilities. Customers need to know Clark Public Utilities will never direct a customer to hang up, obtain a prepaid card in the amount of the balance and then call back to make a payment. Be skeptical of anyone claiming to be from the utility, whether in person or over the phone — no matter what the caller I.D. says. If you meet them in person, ask them for identification and call the utility to confirm they are who they claim to be. If a person claiming to be from the utility calls, hang up and call the utility back at 360-992-3000. A customer service representative will never be offended because you’re being careful. If you are late on your payments, Clark Public Utilities will only call you after mailing you several missed payment notifications. Those calls should not come as a surprise. If your electric bills have become a burden, the utility will work with you to avoid disconnection. Also, customers with limited incomes or in a financial crisis may qualify for assistance programs and grants to pay heating bills.